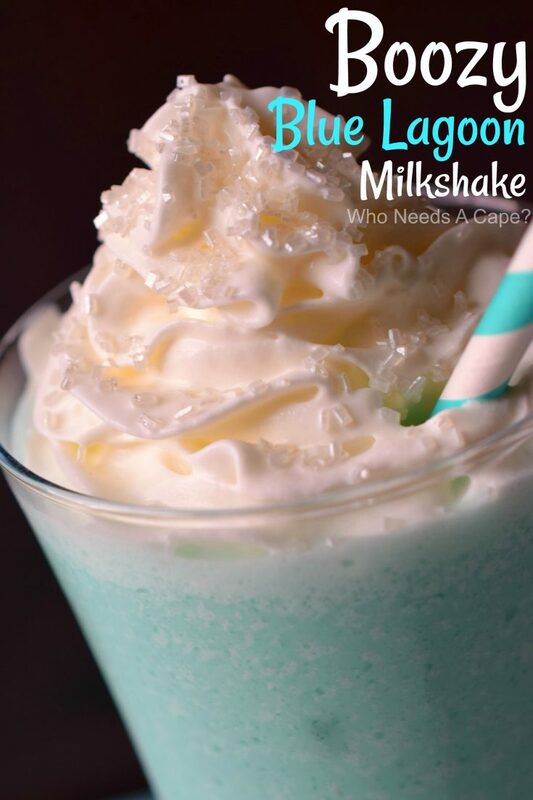 Boozy Blue Lagoon Milkshake - Who Needs A Cape? 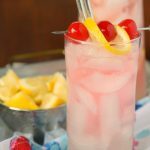 The Boozy Blue Lagoon Milkshake is a delicious dessert cocktail that sweeps you away to the tropics. 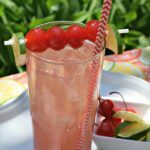 Make a batch for your next summer party! 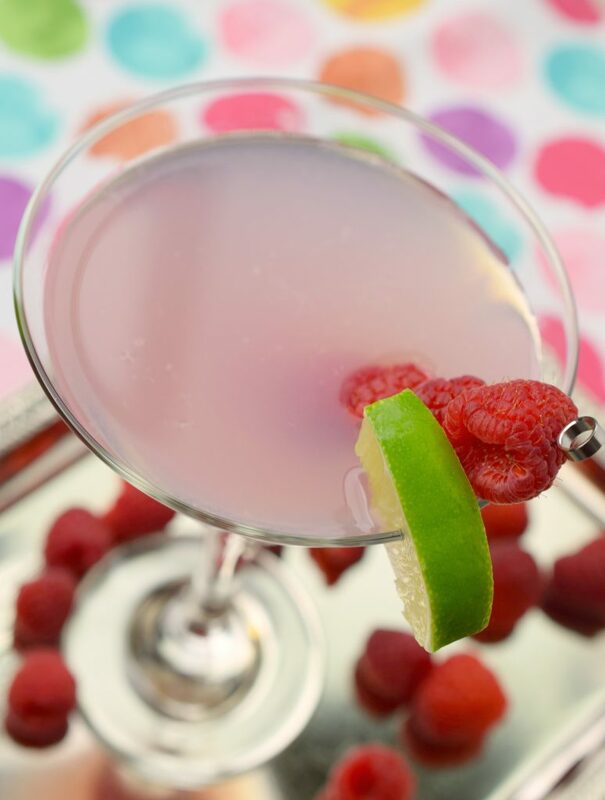 Summer temps have arrived and I cannot think of a better way to cool down than with a cool & creamy dessert cocktail. 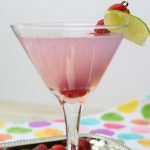 Yes, a dessert cocktail! There’s no reason you can’t combine the two right? In my world you certainly can, permission has been granted! 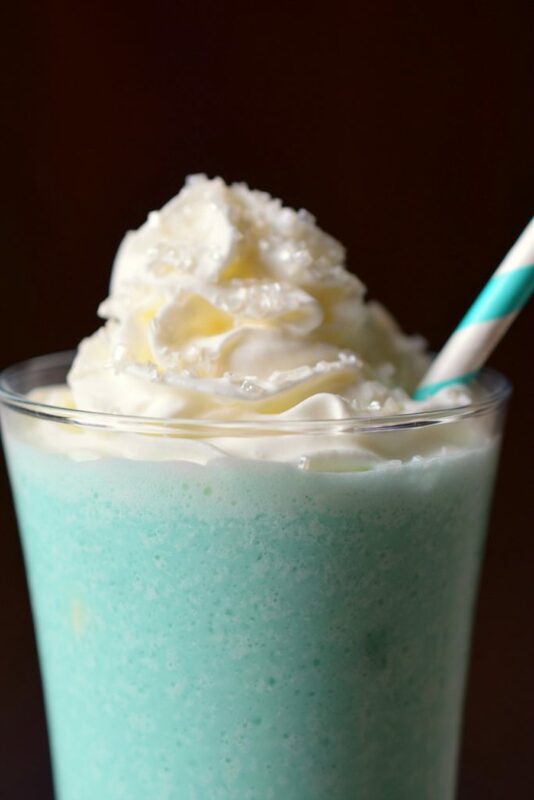 Boozy Blue Lagoon Milkshake is basically a dreamy milkshake with a couple splashes of liqueur involved. The cool and inviting Caribbean Blue color is from Blue Curaçao. If you aren’t familiar with Blue Curaçao it is essentially an orange liqueur which is dyed blue. The Lahara orange grows on the island of Curaçao in the Caribbean, the peel is dried and gives this unique liqueur its delicious flavor. You can find it easily in most liquor stores. Adding Blue Curaçao to cocktails is just fun, it gives them a fantastic blue hue. 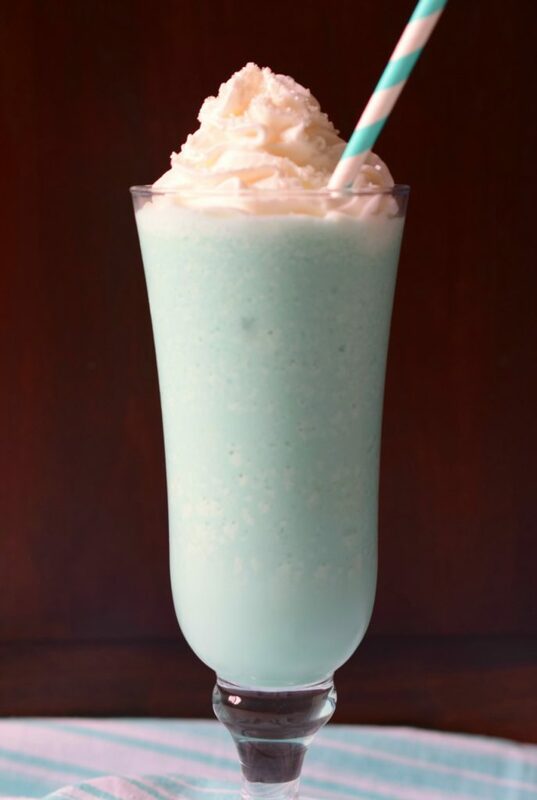 Have you tried our Blue Piña Colada? 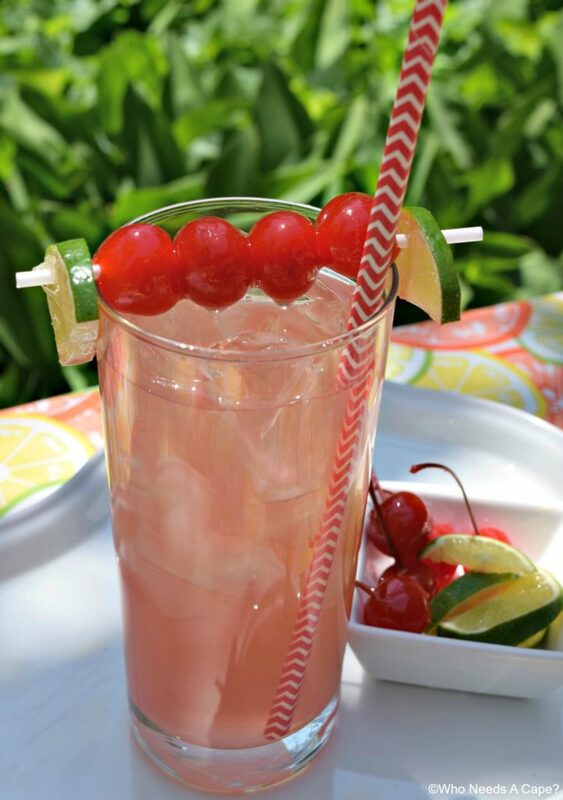 If you haven’t make sure you add it to your summer cocktail bucket list…it is DELISH! This recipe makes one large milkshake. 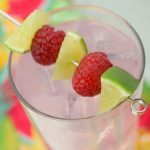 If you feel like sharing then by all means either grab 2 straws or pour into 2 smaller glasses. Now, of course, the dessert part comes into play with this milkshake because it contains ice cream. 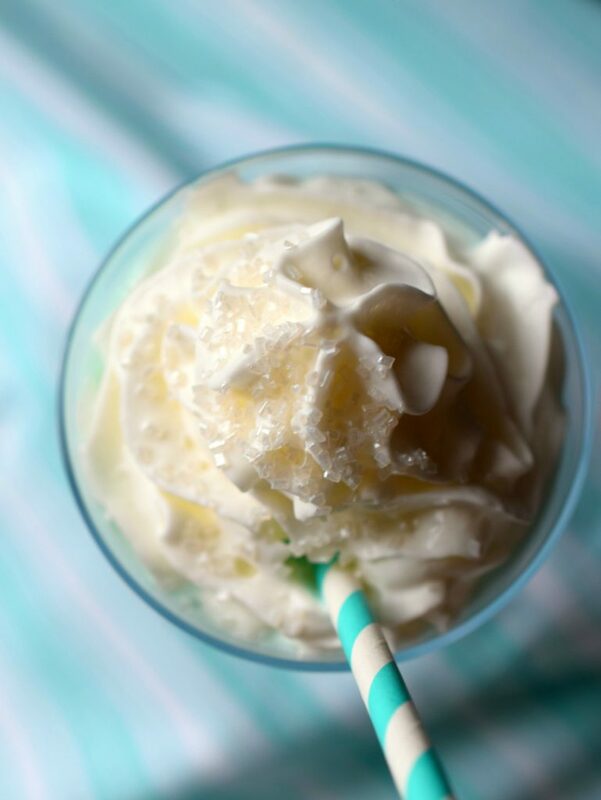 I made this milkshake a touch more decadently delicious by adding some whipped cream (from a can, no shame in breaking out the Reddi-Whip) and some…wait for it…shimmery sprinkles. Yes, sprinkles aren’t just for the kids! 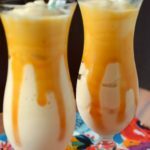 You’ve gotta admit they make this milkshake look pretty fancy, don’t they? 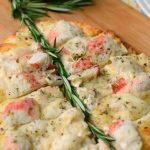 Add all ingredients into blender. Blend until combined. 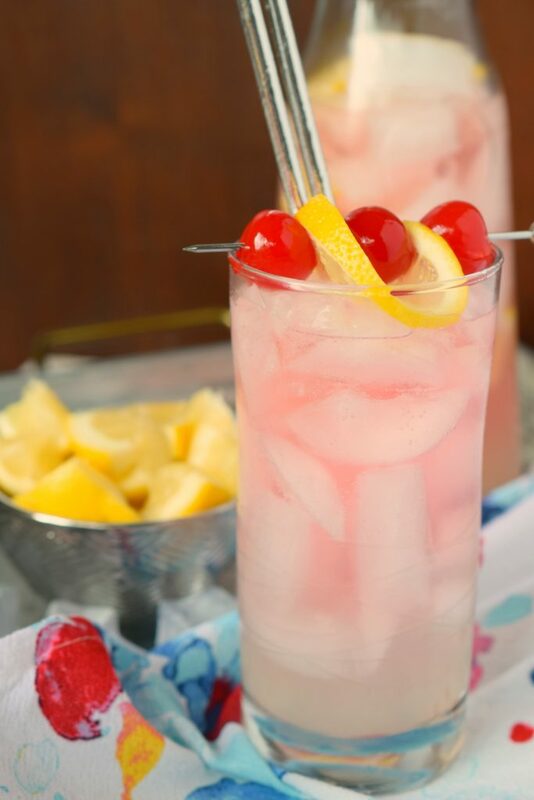 Pour into glass (or glasses).